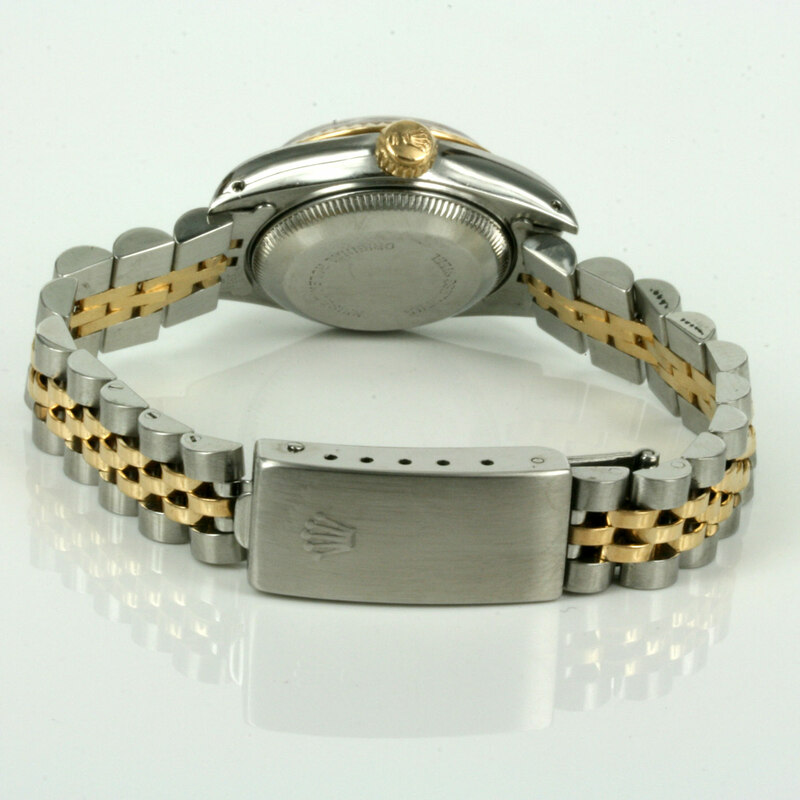 Product code: 2212 Categories: Sold Items, Sold Rolex Watches. Here is a very beautiful and elegant Rolex watch for any woman – the ladies Rolex Oyster Perpetual Datejust model 69173 and set with the diamond dial. 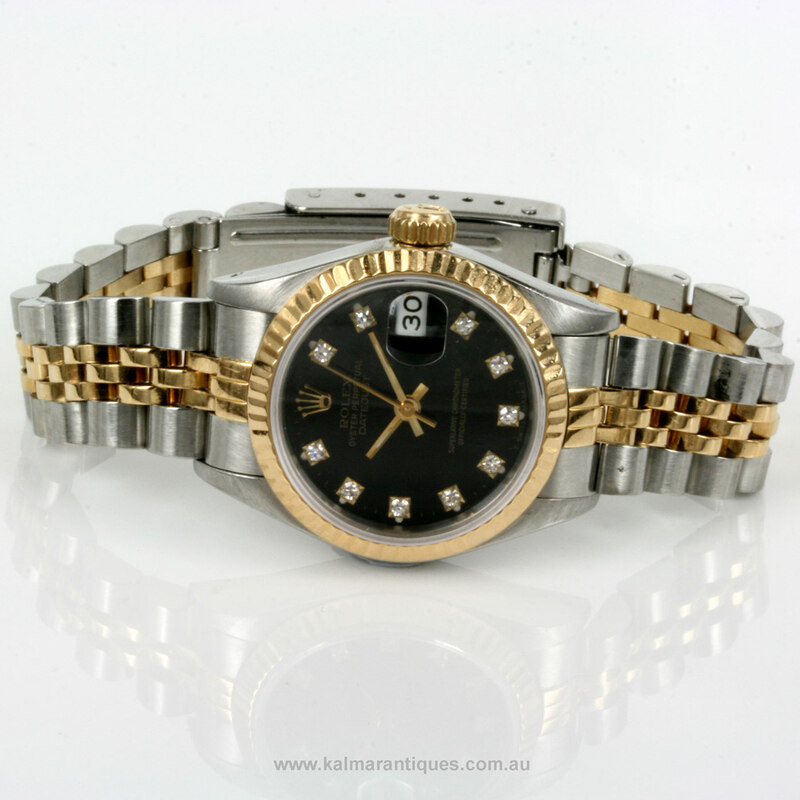 We love to deal in second hand Rolex watches and this lady’s Rolex Datejust with the black diamond dial which is so hard to come by is just superb and one of the nicest examples of a lady’s vintage Rolex watch that is perfect for any woman of any age and so versatile as it can be worn for both formal and informal occasions.